Don't forget your daily cheezdoodlerefill! 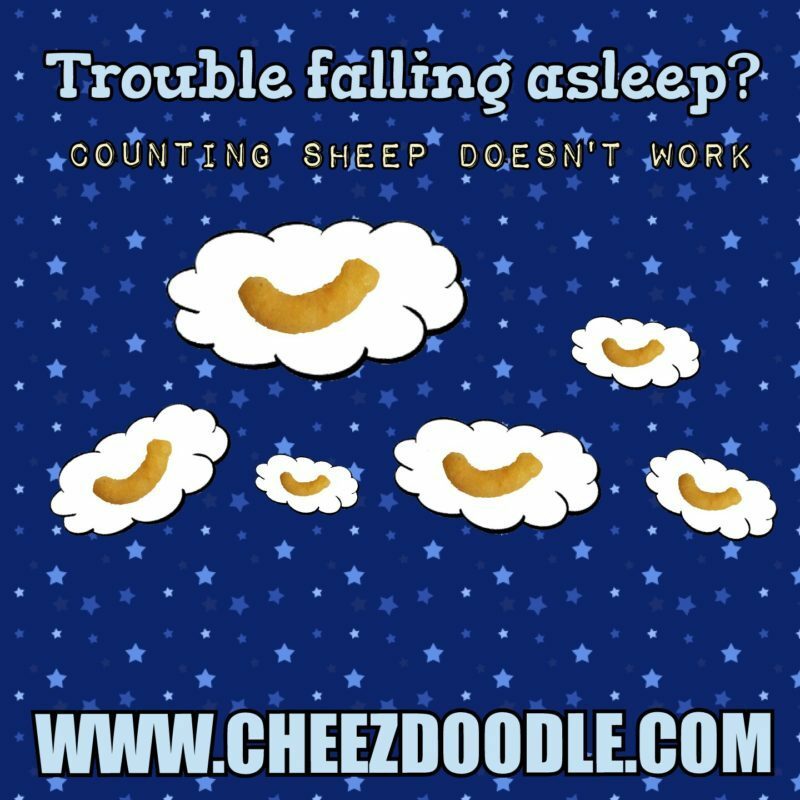 Count cheez doodles when having trouble falling asleep, counting sheep doesn’t work! I wish you all a beautiful Saturday. Don’t forget about each other.